About Silvia D. Message Silvia D.
Silvia and the tour exceeded expectations. Communications with her before the tour were fast and easy. She answered questions and was very flexible about the changes we made to our group. 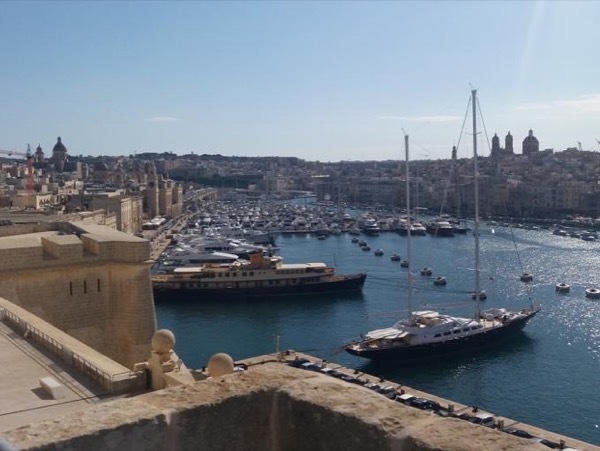 We saw lots of the beautiful city of Valletta but never felt rushed. We learned about the history , culture , language, architecture, agriculture and economy of the country. Silvia recommended several places to dine at our request. We are all planning a return to this city and will use this guide again. Highly recommend. Our tour with Silvia was excellent. She was so knowledgable and we never felt rushed. We had a wonderful day exploring Valetta and Mdina. Despite the bad weather in the morning it turned out to be a very enjoyable day and was truly a 5 star tour. Silvia was an excellent guide. We started the walking tour just as the rain started to pour down but no problem, Silvia hailed a taxi and we avoided the flooded area and continued our tour. We saw so many wonderful sights and she knew the best photo view points. We especially loved our boat ride across the harbor to our ship in t he traditional small boat. What fun! TOUR GUIDE RESPONSE: Thanks so much to both of you for your energy and for letting me take care of you on your morning in Malta. A wonderful tour . Silvia adapted it extremely well to meet my limited mobility needs. We saw some stunning views, including the island from its highest point and also the famous blue grotto. The market at the fishing village was great for souvenirs of local crafts. I bought a lovely table runner and matching cushion covers. A wonderful day with some lovely photos and memories to cherish. TOUR GUIDE RESPONSE: Deborah, thank you for letting me taking care of your morning in Malta. It was a pleasure to meet you both. Warm regards from Malta. Fantastic Trip. 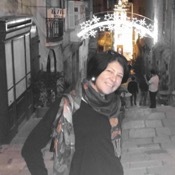 Silvia loves Malta and loves to share it with guests. She is fun and very informed. She also makes great accommodation for the needs of her guests, as some in our party didn't walk well. Silvia is highly recommended! TOUR GUIDE RESPONSE: Thank you so much for trusting me with your short stay in Malta and for your kind words. It was a jolly morning indeed! Silvia was super. Very friendly and efficient tour of Medina, Rabat and Valetta by Silvia. We were a relatively young group of 7 and Silvia took that into account. Her knowledge was superb and entertaining too. Really pleased. Silvia nos dio un esplendido tour por Malta, es una guía muy documentada, siempre estuvo atenta a todas nuestras peticiones, el vehículo que nos asignaron fue muy confortable y espacioso, realmente logramos aprovechar nuestro corto tiempo para conocer bastante de Malta, muy recomendable en todos los aspectos. TOUR GUIDE RESPONSE: Muchas gracias por la confianza Don Luis Pablo, el gusto fue mio y les espero para una próxima oportunidad.